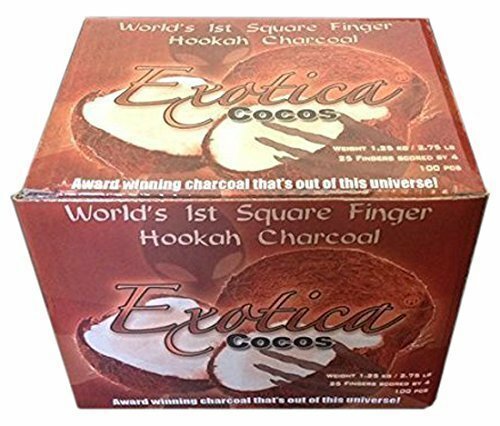 1.25Kg 100pcs "all natural hookah square charcoals" exotica brand Cocos, coconut. Similar to coco nara, mazaya and blaze. If you have any questions about this product by Exotica, contact us by completing and submitting the form below. If you are looking for a specif part number, please include it with your message.